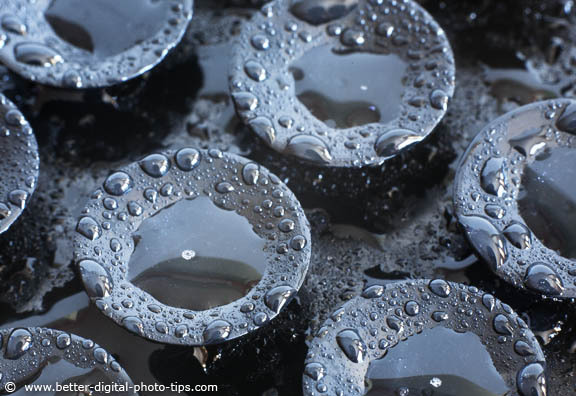 Have you ever tried abstract macro photography? It's a great challenge to use your artistic talents in a challenging photography situation. Getting in real close gives you an entire new world of photo opportunities. You're probably wondering where can you get ideas for shooting abstracts. 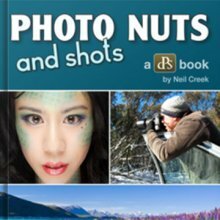 This post is a mini macro photography gallery that will give you some unique ideas for shooting unique close-ups. Mrs. Google is my best friend when it comes to searching for photography topics. Heck, you likely found this article from a search on Google. If you're looking for some creative macro photography ideas you can do a search on one of the big photo gallery sites too, like Flickr, 500pix, or Smugmug. 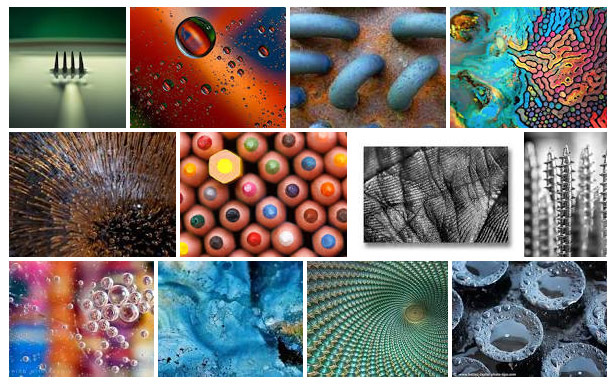 Google's results on search for "Abstract Macro Photography"
Out of the 12 images that came up when I searched "abstract macro photography, 2 of them were already used in this article. 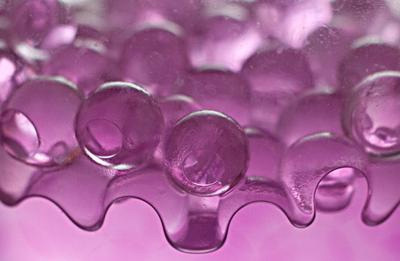 Compositional elements become even more important when our minds don't immediately identify objects, so using the right macro photography technique is critical. Often with abstract macro photos, you can't even recognize what the actual subject matter is. Textures become a big part of the composition when you come in close and they are magnified. Can you guess what the subject is in the image below? Here's a hint. It's actually alive. 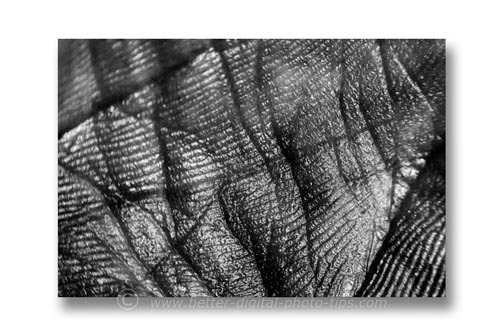 This black and white photo is an abstract close-up photo of my own palm. 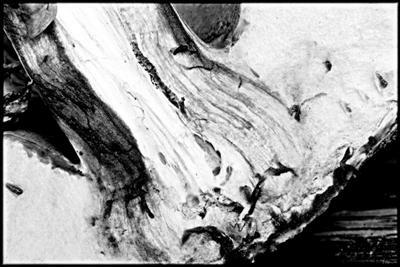 I converted it to a black and white image by using the Black and White Image-Adjustment in Photoshop. Flowers are likely the most popular subject for shooting macro and it's easy for flowers to look abstract when you only photograph small parts of them. This image of this tomato blossom reminds me of a photo of the space shuttle with it's wide-spread rocket trail during take-off. All of these photos were taken with my 85mm "prime lens" and Opteka extension tubes. This equipment combination gives me a nice working distance from my subject and great quality and a high level of magnification. Most of my subject matter for extremely close-up photography has been the same as many other digital photographers: insects and flowers. 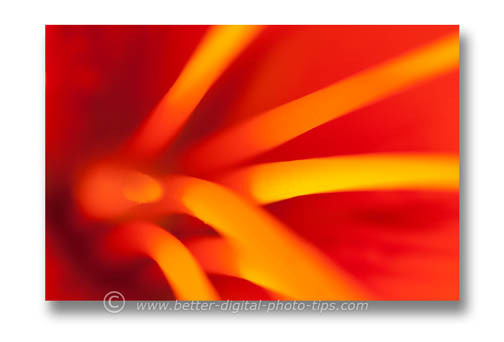 Knowing how to do macro photography first is helpful if you want to create abstract photos. Understanding the limitations of the macro equipment you are using is necessary when you are planning your photo shoot. Lighting and composition are very important. Of course, choosing the subject matter is the most important part and there a few articles on this web site to give you some good macro photography ideas for subject matter. I found this subject matter just outside my backdoor. Can you tell what is is? It was growing right up against the edge of my deck. It is a close-up of a mushroom. I was very close and you can see that the resulting depth of field is very small. It's another one of my not so successful attempts at artistic macro photography. 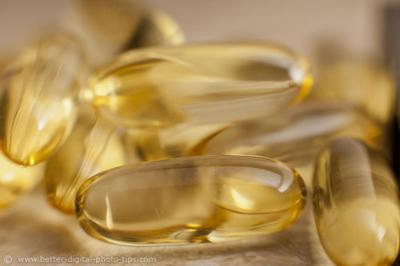 One of the biggest factors in making an image abstract is often the control of depth of field. Depth of field get extremely shallow when your camera is focused to close objects. Using your lens's smallest aperture (like f/22 or higher) will help. 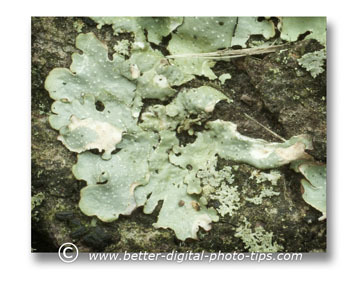 The final sample photo is a simple photo of tree fungus. Unless you're a fungus freak, you likely don't find this an attractive subject. I can't argue with you. there are some really cool fungi, but this one doesn't fit that description. The unique growth pattern of the fungus made it abstract without any creative control of depth of field or other digital manipulation. The point is, you can find abstract macro photography subjects anywhere. 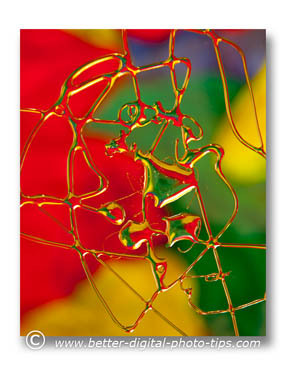 Would you consider the abstract photo above to be macro photography art? 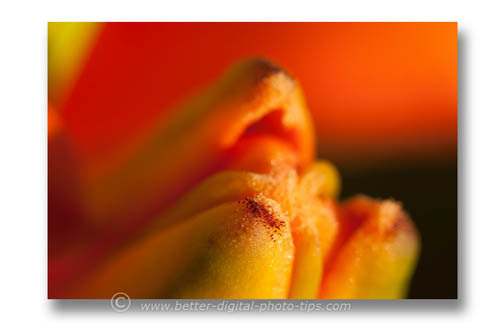 It's a macro photo of the inside of an orange Lily using a very shallow depth of field. Many feel that photography in and of itself is intrinsically art. I am not so sure. Does a quick unplanned snapshot, without any thought of composition, color, lighting or subject matter qualify as art? Perhaps the expression: One man's trash is another man's treasure is a saying that can apply to one's interpretation of what art is. The definition given by Wikipedia is: "Art is the product or process of deliberately arranging items (often with symbolic significance) in a way that influences and affects one or more of the senses, emotions, and intellect." All of the photos in this section of this post make use of bright colors. In my mind, they have artistic qualities. These three "ABSTRACT LILY" photographs were taken within a 15 minute span. All of them were taken of the same flowering Lily plant. When you are working at macro distances, often a slight change in direction of shooting will give you a completely different photo. I don't consider myself artistically talented at all, although I feel I can occasionally get creative images using macro photography as a tool. 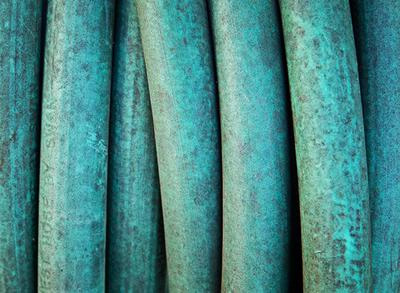 These photos could all be called abstract macro photography art. The abstract photo to the right isn't a true macro, but I included it in the article because we can still learn by looking at our photos failures and adjusting our approach. I don't particularly like the resulting photo I made, but I had a lot of creative, childlike fun taking it. I got the idea from someone's blog on macro photography. Can you guess how I created it? The answer is below, but I encourage you to analyze the photo first and use a few hints I give you. Let's have a little fun with this. It is a close-up. The zoom lens has macro focusing, but really wasn't at a macro focusing distance. I may recreate this effect again, but next time with using extension tubes or a dedicated macro lens. Here's how I made this photo. I dripped a thick liquid onto a sheet of glass. The liquid was actually Karo syrup dripped onto a 11x14 inch pane of glass that was clipped to the edge of my work bench. The colors were from a colorful children's play parachute that was placed a few feet away on the floor, underneath the drippings on the glass. 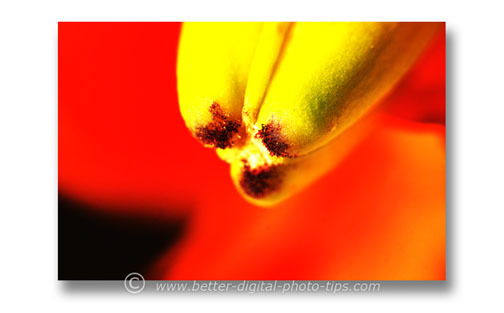 The final example of photography art is an image using the same original flowering Lily plant. With this one, I used Adjustment Curves in Photoshop to make it abstract. If you resort to software manipulations of your photography after you capture them in camera, the possibilities are literally infinite. This is a good example of why I try to stick to photography and staying away from too much abstract creativity. Although it may be visually interesting, I am not so sure it qualifies to be called art. Here are some more abstract macro photography ideas, some submitted by readers and some added by the author. There are good subjects for macro photography everywhere around you. 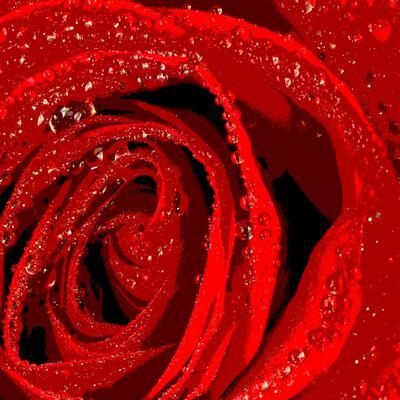 I used a posterize adjustment layer in Photoshop and created this abstract from a macro photo of a red rose. I liked it better as a square composition and the center of the rose off-center. It has a bit more contrast than the original photo but I like the dark elliptical areas that are created by the curved petals of the rose. They were sitting there on the kitchen counter, being enjoyed by anyone who came into the room. I wasn't looking for any ideas to shoot at the time. I was getting ready to eat dinner. My daughter received a bunch of beautiful red roses for Valentine's day from a certain male friend. I still had my camera and tripod set up in the basement. I carried the roses downstairs along with a spray bottle. The set-up was easy. The rose buds were about a foot or so above the floor, nestled snugly in the vase with a few small bunches of baby's breath. 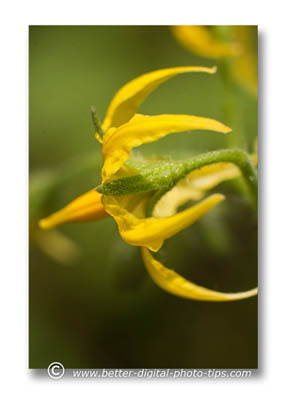 That's an easy height to work with when shooting directly downward toward the top of a flower. The viewfinder is easily accessed and lighting was easy to adjust. One of the challenges you face when photography such a highly saturated red object is overexposure. When I am in a photographic situation like this, I make sure to use my camera's RGB histogram rather than the overall brightness histogram. The RGB histogram shows the exposure histogram in each of the color channels separately. This prevents me from "clipping" the red channel highlights which is quite easy to do if you don't pay attention. I also shoot in raw camera mode so that I can adjust exposure afterwards without any danger of losing details or image quality. One of the weaknesses of digital photography is the recording of the red, blue, and green light separately. That's a good topic for elsewhere on this website. Now it's your turn. Got any good ideas for macro photography subjects? Shoot away! 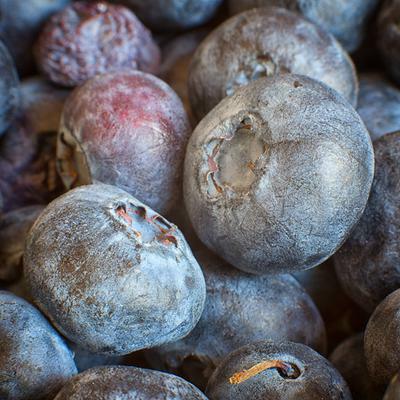 I was enjoying a bowl of Cheerios one morning, saw this bowl of fresh blueberries in front of me and got the inspiration for another macro image. It's not abstract macro photography, but I thought you'd enjoy seeing it anyway. One of the great things about shooting macr is that opportunities are everywhere, no matter where you are, no matter what time of year it is. The lighting wasn't quite right at the kitchen table, so I grabbed the bowl of berries and carried the container to another room near a window. I like to use natural light for my macro work whenever I can and the morning light coming in through the window did a good job of illuminating my subject. Exposure was f/22 for 3.5 seconds at ISO 320. I used a 85mm prime lens with all three of my extension tubes on a Canon 5D Mark III camera. I tweaked the image with ColorEfex Pro after capture, using the detail extractor and lens vignette filters. 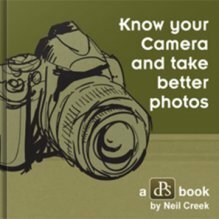 I am really enjoying this web site on digital photography tips and generating ideas, specifically about macro photography. I have been experimenting with abstract macro photography and wanted to try some abstract photos of nature. I found a large mushroom in my front yard and tried to create a few still life photos with the mushroom on a wooden cutting board. I cut the mushroom in half and found some cool patterns in the stem. I converted into black and white in Photoshop, sharpened it a little, then added a black border around the photo. 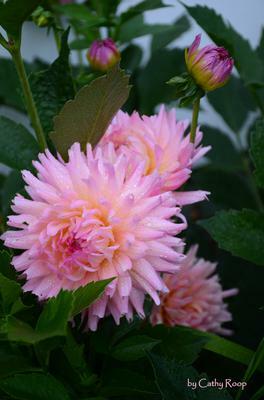 "I thought this Dahlia was beautiful and wanted to capture that beauty in my photo." Thank you Kathy for sharing your flower close-up. The dark leaves make the flowers stand out nicely. The two flower buds had depth and the lighting is nice and soft, great for showing detail in this image. I wonder how it would look if it was a bit lighter. What do you think? Just about all of my macro images of flowers are done with soft, natural lighting. Sometimes I use a scrim to diffuse or block direct light and sometimes I used a silver or white card to bounce some fill light or create a few highlights. 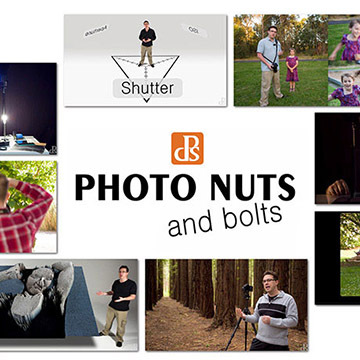 Thanks for contributing to the Better Digital Photo Tips web site! I was "cleaning up" my computer and came across a folder marked Fall 2012. 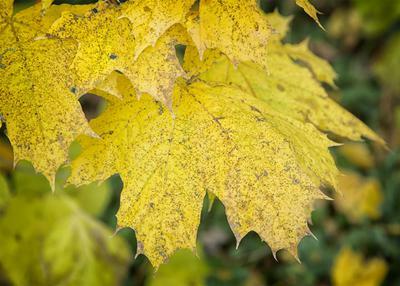 The leaves are long gone know, but this photo is a good reminder of the changing seasons and the different opportunities that are presented to us. This photo was shot with a Canon 5D Mark III with a 24-105mm zoom at 105mm. Exposure was 1/5 second at f/8.0. Not a true macro photo, but a good example of an interesting world that exists when we take the time to move in close and look. It was raining but I couldn't resist shooting a few quick images before nightfall. This isn't a macro image, but it is a closer shot of a natural subject, so I decided to submit it to the digital photography tips web site. I didn't need any macro lenses or gadgets to make this photo. 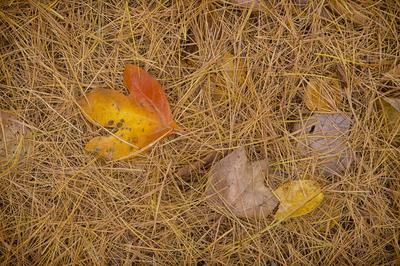 I liked it for its simple composition and the overall warm color scheme. It is definitely lacking in visual punch, due to the flat lighting and monochrome subject, but I still enjoy looking at this type of occurrence in nature when it presents itself to me. Perhpas I shoud have adjusted the leaves into a tighter arrangement and cropped in closer. My wife recently planted these Gerbera flowers in the front of our home. As soon as I saw them I new I had to try to shoot a few close-ups. 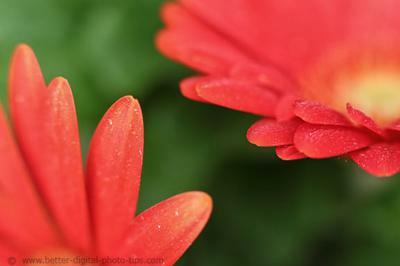 The subtle color changes within the tip of each petal was really interesting-for a nature geek like me. I used my favorite "macro lens," my 85mm f/1.8 prime lens combined with extension tubes. 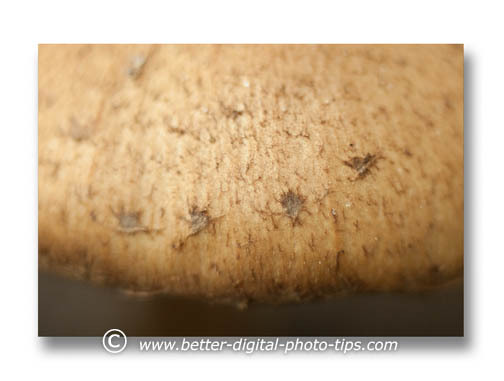 This particular close-up was taken using just a single 31mm extension tube. 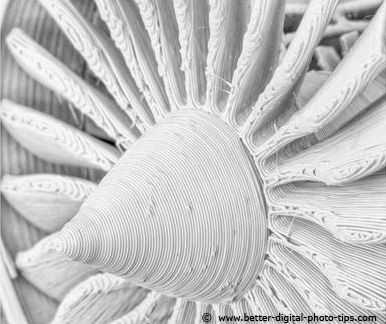 Related article: Artistic Macro Photos. 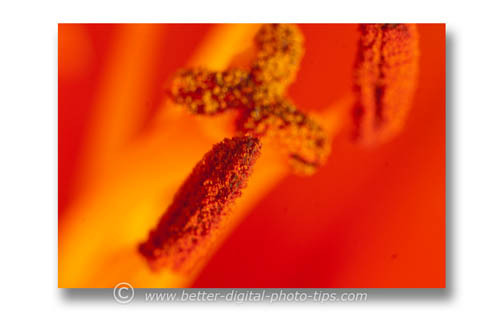 Create macro photography art. Sample artistic photos. 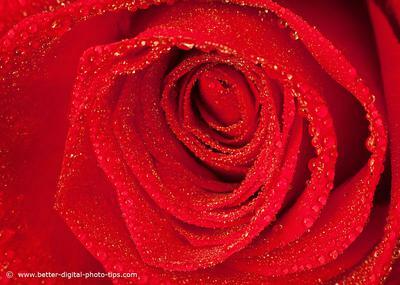 Once you've viewed a bunch of images you can come up with a list of macro photography projects to do. Happy Abstract Photo Shooting! Written in 2012.Good for the beginner. General, Macro Photography.Equipment and Subjects.